Truly a historic event. Would this be a significant hurdle to Silverlight adoption? One could only hope. Congratulations. Impressive work (and promising demo)! As I thought Cryptographic routines could take advantage of the JIT (and provide a nice benchmark) I rushed to try the last (8-22) nightly build on http://clipperz.com but when I turn the JIT on, the authentication process fails, also the card decryption process fails if yet, with JIT off, logged in (ERROR: Error while decrypting data). Maybe (it needs further investigation) the JIT is getting in the way of the crypto routines. @Marco: Please try today’s (8/23) build and if the bug still bites with the JIT enabled, but your crypto works with it disabled, please do file a bug. Great work. Build is much quicker with JIT enabled. I did find a repeatable crash in js_EqualStrings with JIT enabled and filed bug 451873 for JIT content enabled crash opening Engadget. Reproducible in safe-mode in both 20080822 and 2008023 builds. Should this read “faster” and not “fatter”? @Kevin: no, “fatter”. JS is not Java. Its higher level, dynamic nature means even richer ops than invokedynamic are needed to let the C++ compiler, with PGO, do its best for the common cases. This assuming an interpreter rather than a compiler. V8 is really a compiler, and it patches get/set/call sites to optimize for the common targets. 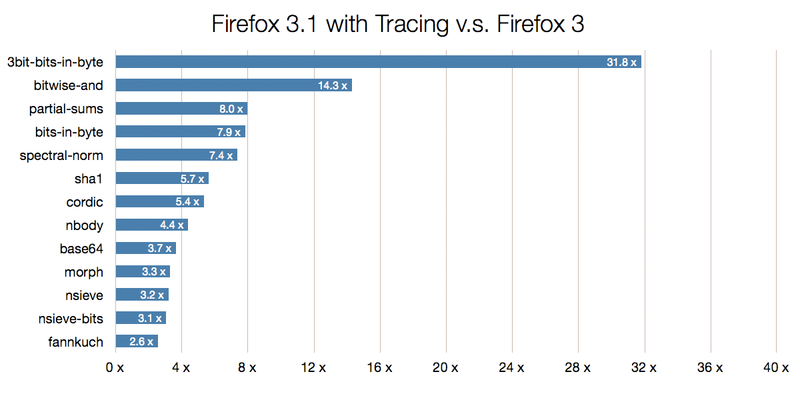 Colleagues elsewhere (Opera and Adobe) have noted how JS favors fatter interpreter opcodes. 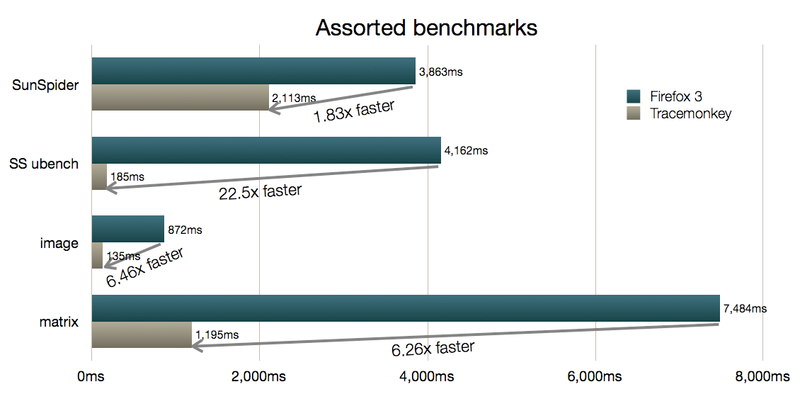 Skinny ops mean bytecode bloat and high relative dispatch costs, as well as lost optimization opportunities. Awesome stuff. Well done to all. Unbelievable how you guys are able to achieve such phenomenal speed increase in such a short time. Nice one. This means a problematic JS script will block / slows down the user interface as well. Separating / isolating each JS process may give slower benchmark results – but it will make it more responsive to user interactions. And there won’t be browser-wide lockdown anymore. Overall, it’ll provide a much better user experience. With thanks for reveal quite decent informations. Your net is superb, I am satisfied by the specifics that you have on this blog. It shows how effectively you grasp this topic. Bookmarked this web page, will arrive back again for additional. You, my friend, I observed just the specifics I previously looked for all over the place and just couldn’t discover. What an ideal blog. Like this website your web page is 1 of my new faves.I like this data proven and it has offered me some type of inspiration to have achievement for some cause, so hold up the fantastic work!